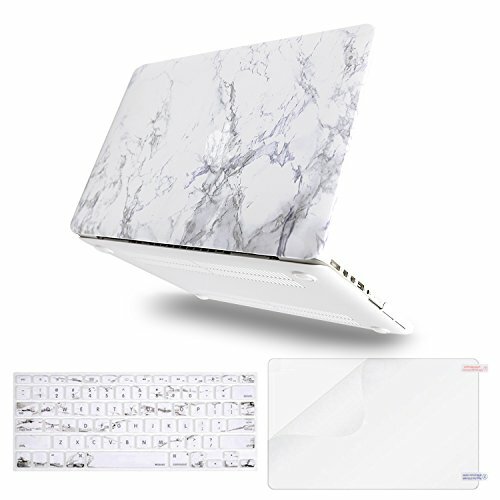 - Specifications: - Weight: 340(g) / 0.75(lbs) - Dimension: 33 x 23.2 x 1.5(cm) / 12.99 x 9.13 x 0.59(inches) - Color: White - Material: Polycarbonate - Compatible Device: MacBook Pro 13 inch - Please check the image in details to avoid misunderstanding of our product - Please kindly check your Macbook model from Apple store website to make sure it is fit for the caseThis case is Designed for - (A1278) MacBook Pro (13 inch, Mid 2012) - (A1278) MacBook Pro (13 inch, Late 2011) - (A1278) MacBook Pro (13 inch, Early 2011) - (A1278) MacBook Pro (13 inch, Mid 2010)This case is NOT Compatible for - (A1502 or A1425) MacBook Pro 13 inch Retina Display - (A1466 or A1369) MacBook Air 13 inch Please check the model number of your device. For more information, you can go to the Apple's website. 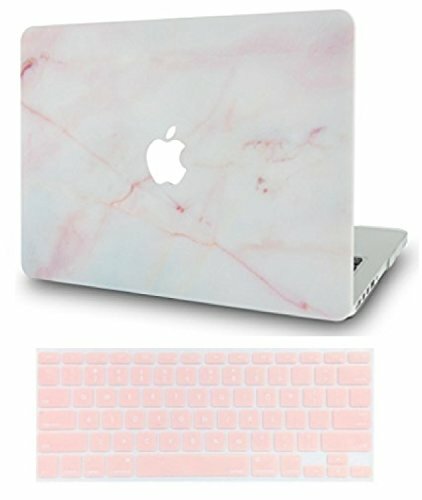 iDOO Matte Rubber Coated Hard Case -Marble Pattern Series Case Compatible Only: MacBook Pro 13 inch Retina without CD Drive Model A1425 and A1502 Specifications Apple Logo Visible through the case when laptop is on and screen brightness is up. Matte Rubberized Hard case. Full access to all buttons and features. Full vented to allow effective and safe heat dissipation. iDOO MacBook Cases are made in sizes 11 to 15 inches. We have a variety of designs to ensure that we will have something to suit your taste. 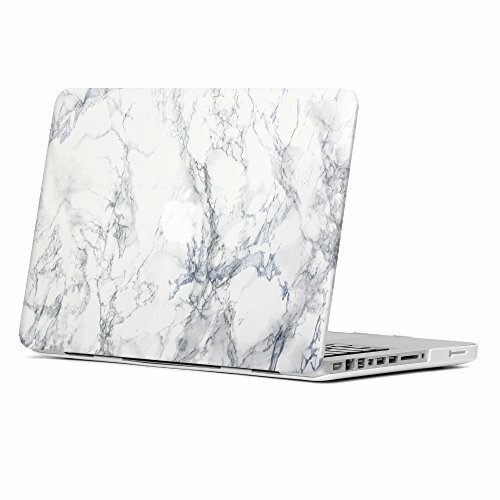 Our oldest, most renown and successful series is our Marble case series. 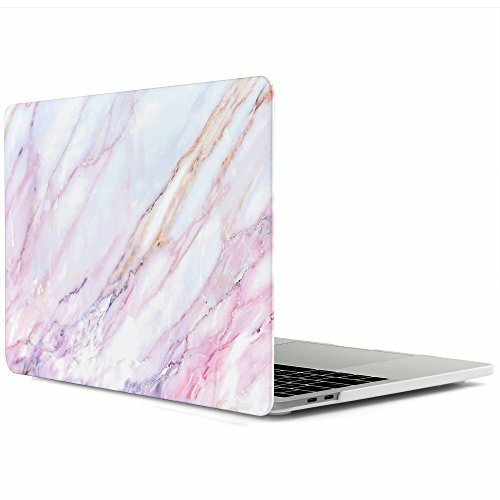 They come in a stylish marble design which adds a touch of elegance and glamour to your MacBook. But please do feel free to explore our newest and more colourful series of MacBook cases for 2016 which adds a touch of elegance and glamour to your MacBook, including Matt Soft-Touch series, Galaxy series, Colorful Painting series and Gradient series. They are carefully designed to ensure a snug fit and a stress-free mounting process. 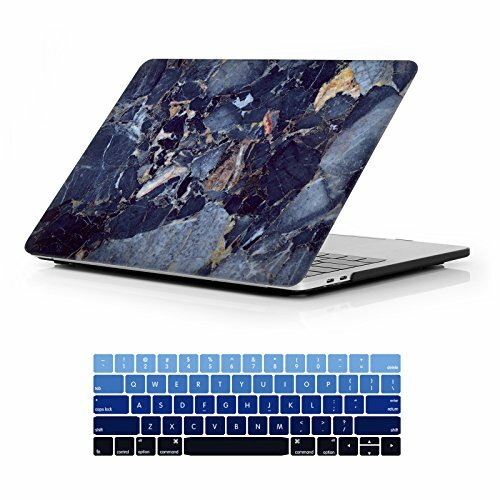 Including matching color keyboard cover & screen protector to protect your MacBook keyboard & screen against spills and contaminates. Mosiso 1 year warranty on case, keyboard cover and Mosiso lifetime warranty on rubber feet. Friendly Note: Please kindly check the model number "A1xxx" on the back of the MacBook before your purchase. Make sure you choose the exact same model number as the listing title stated. 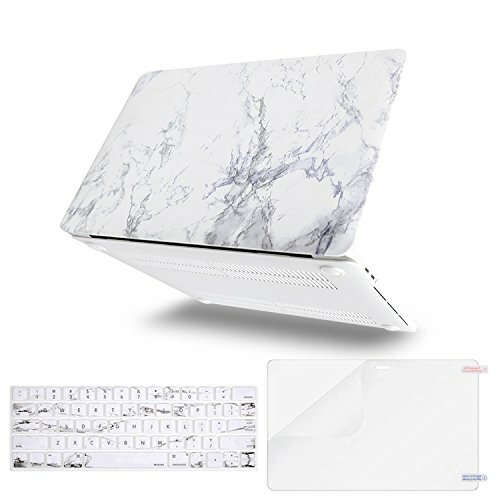 iDOO Matte Transparent Soft-Touch Plastic Case Series Case Compatible Only: MacBook Pro 13 inch Retina Display with/without Touch Bar and Touch ID Released in 2016 - Model A1706 and A1708 Specifications Matte Rubberized Hard case. Full access to all buttons and features. Full vented to allow effective and safe heat dissipation. iDOO MacBook Cases are made in sizes 11 to 15 inches. We have a variety of designs to ensure that we will have something to suit your taste. 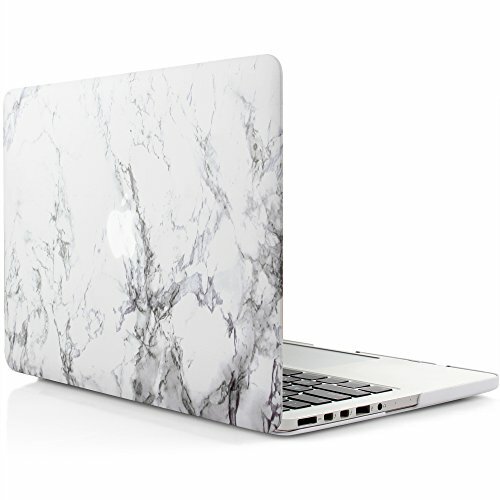 Our oldest, most renown and successful series is our Marble case series. 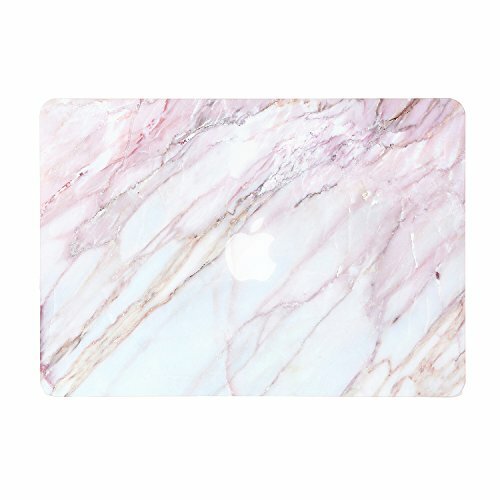 They come in a stylish marble design which adds a touch of elegance and glamour to your MacBook. But please do feel free to explore our newest and more colourful series of MacBook cases for 2016 which adds a touch of elegance and glamour to your MacBook, including Matt Soft-Touch series, Galaxy series, Colorful Painting series and Gradient series. They are carefully designed to ensure a snug fit and a stress-free mounting process. Watch my new video here! 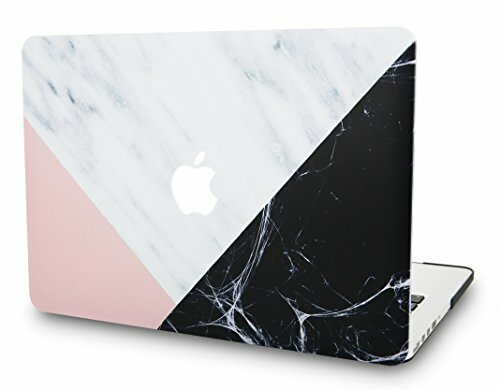 ➡️ https://www.youtube.com/watch?v=gQxYYz2EnvI 🤗 I got this marble case from GMYLE website: https://www.gmyle.com Hope you find this helpful! 🤗 UPDATE: when editing this video it got a bit dark and apple logo shines through the case! not a lot but you can see it! 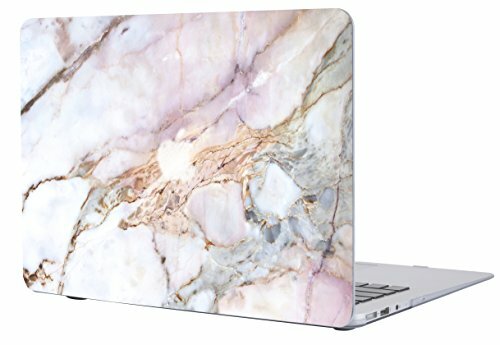 Compare prices on Macbook Pro Marble Case 13 Inch at ShoppinGent.com – use promo codes and coupons for best offers and deals. Start smart buying with ShoppinGent.com right now and choose your golden price on every purchase.